Individuals on the autism spectrum1 struggle to achieve success during everyday social interactions  and demonstrate atypical social learning . Observing social interaction—or “social eavesdropping”—can lead to increased social knowledge [6–9] and may be a useful learning tool for people with social deficits. To learn from social observation, people must do at least two things: First, they must focus their attention on the most informative parts of the scene (e.g., the face is a good source of information about how someone is feeling, whereas the hands are useful to determine what someone is doing ). Second, they must be able to flexibly adapt their looking behaviors in real time; faces, hands, or objects may be more or less informative depending on context. 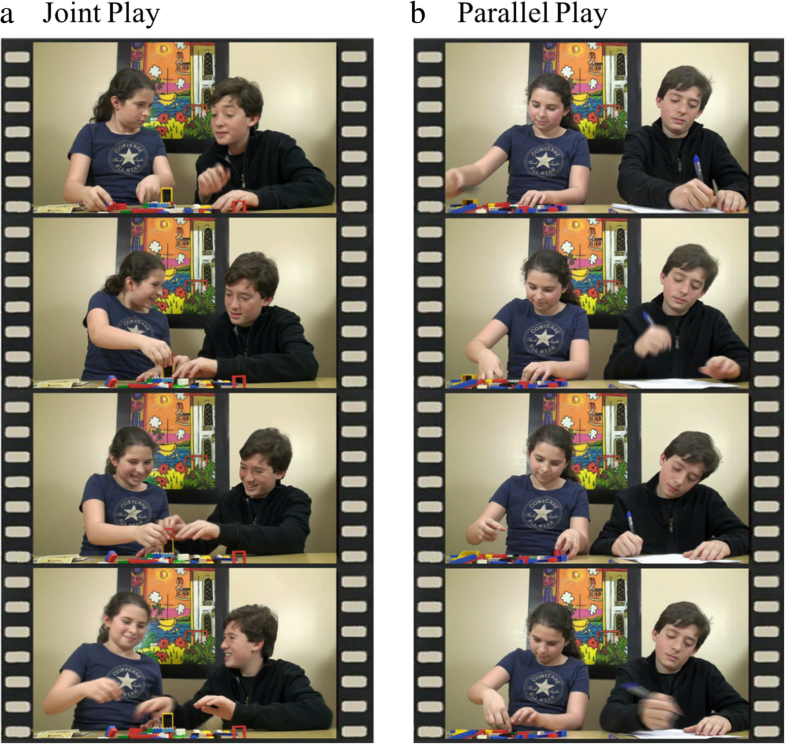 Relative failures to adjust visual attention in response to contextual differences could lead to missed opportunities for social learning , with early inattention to faces (and over-attention to objects) leading to compounding downstream effects on developing social skills and cognition that could persist into adulthood . In this study, we use an established eye-tracking paradigm to test whether and how autistic adults strategically adjust their gaze to capture key social information (faces) in scenes that are socially rich or socially lean. Gaze to social stimuli has been extensively studied in autism [19–22], and it has been argued that early impairments in social attention have cascading downstream effects on later social skills and cognition . In one of the first studies to use eye tracking to study visual attention in ASD, adults demonstrated less attention to the eyes of actors than TD controls, as well as more attention to mouths, bodies, and background objects . This finding—that ASD individuals fixate relatively less on certain key social stimuli and more on non-social stimuli than TD controls—is consistent with clinical observations of reduced social attention in ASD  and has subsequently been replicated across a range of ages [11, 21, 23–27] but see [28–31]. At least two studies of younger children with ASD found that they struggle to flexibly adapt their eye gaze patterns to accommodate different social contexts [32, 33]. However, little is known about how ASD adults adapt their gaze behavior when viewing social scenes that contain more or less socially-rich communicative content. While it is possible that childhood impairments in the contextual modulation of social gaze persist throughout the lifespan in ASD, it is also possible that this ability emerges on an extended timeline in ASD, similar to skills in other domains that are “delayed but not deviant” [34–36]. Understanding how ASD adults allocate their visual resources in various social contexts could lead to personalized interventions aimed at enhancing attention to informative aspects of a scene, potentially leading to important gains in social learning from observation. N.B. In this paper, we refer to individuals diagnosed with ASD as “autistic adults,” “adults on the autism spectrum,” or “ASD adults.” Many self-advocates, including the leaders of the Autistic Self Advocacy Network, prefer the term “autistic” over “person with autism” [1–3]; we honor that decision.